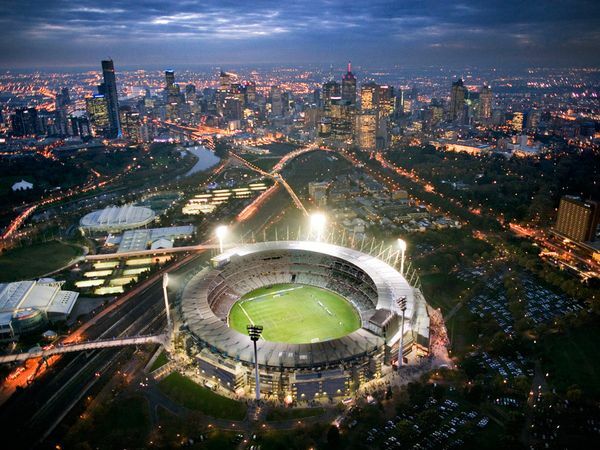 Indians have always been known for their love of the game of cricket, but as Indian athletes and sportspersons have started bringing in medals in other events in international games and tournaments, the country has started turning to other games too. One of these sports, which have started receiving recognition for its unsung heroes in the recent times, is body building. One of the most popular bodybuilders of India is the talented young sportsman called Ashish Sakharkar, who hails from Maharashtra. He has brought numerous laurels for his state as well as country. The next name in the list of top 10 best bodybuilders of India is that of the iconic young star called Neeraj Kumar, who has bagged the title of Mr India 2013, along with a bronze medal in Mr World 2013. 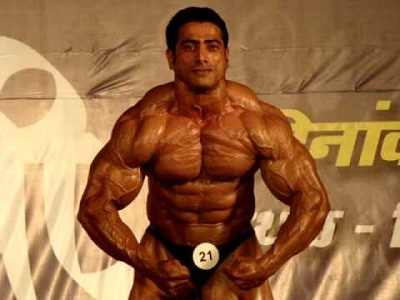 Hira Lal is another name on this list, and the most amazing thing about this extraordinary bodybuilder is that he is a pure vegetarian. In his kitty of achievements and titles, is the prestigious Mr World 2011 title, which he bagged in the 65 kg category. Featuring next on the list of best bodybuilders in India is the Delhi based bodybuilder, Ankur Sharma, who is bearing the torch among the new talents in this field. His achievements include the titles of Mr India 2012, second position in Mr India 2013 and Golf in WBPF World Championship 2013. Next, among the top 10 bodybuiders in India comes Varinder Singh Ghuman, who is also a widely popular figure, thanks to his selection by Hollywood star Arnold Schwarzenegger for promotion of his health care supplements in Asian region. This vegetarian body builder bagged some big titles in his career, such as that of Mr India 2009 and Mr Asia runner up. 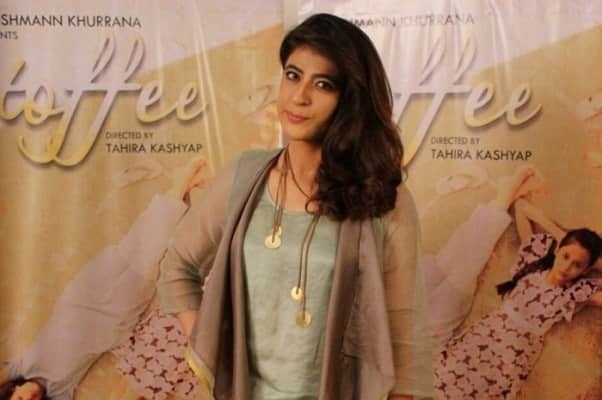 It is believes that he has been offered a role in a Bollywood movie by the super star Salman Khan. Amit Chhetri is a famous Gorkha bodybuilder, who has brought several honors for the country, including the victory of Champions Federation Cup 2013, where he was declared to be the best body builder in 95-100 kg category. Featuring next on the list of top 10 best bodybuilders of India is Suhas Khamkar, who has bodybuilding in his genes as he comes from a family of bodybuilders. He has a long list of titles including Mr India (9 times), Mr Maharashtra (7 times), Mr Asia 2010 and Mr Olympia Amateur. He brought the honor of becoming the first Indian to win the Mr Asia title in 2010. 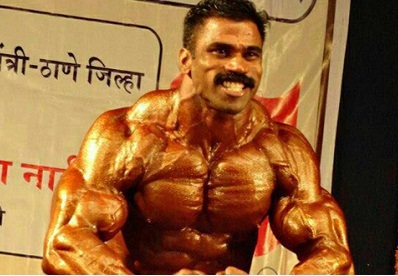 Rajendran Mani started his bodybuilding career after his 15 year stint with the Indian Air Force. He became one of the most successful Indian bodybuilder, by bringing home the titles of Mr India and Champion of Champions for 8 times, which is a record till now. 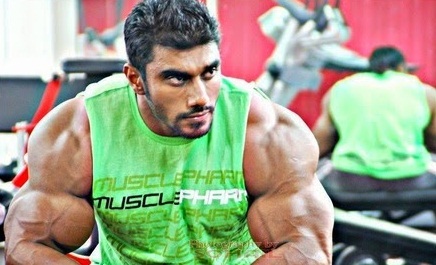 One of the best bodybuilders in India today Sangram Chougule, who is basically a Pune based electrical engineer. This man has brought numerous titles for the country, including that of Mr Universe (85 kg category) in the 2012 World Bodybuilding Championship, Bangkok. He takes a diet including chicken (1 pound), fish (2 pounds), boiled veggies and milk, everyday to maintain his body. 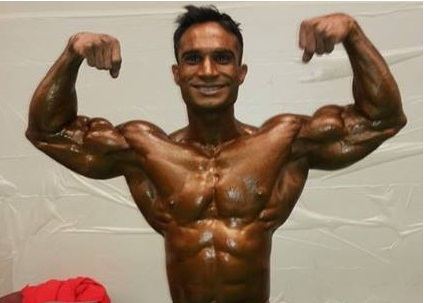 Murli Kumar ranks on the top, he is 35 year old Indian Navy sailor, who started his bodybuilding career quite late, at the age of 25, but went on to become one of the best bodybuilders in the country, holding the title of Mr India in 2013 and 2014. 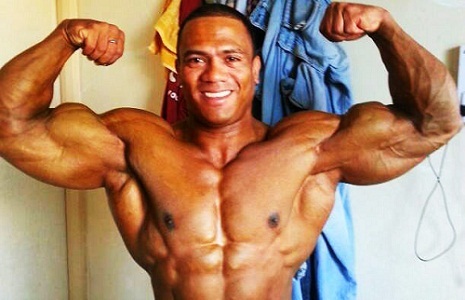 He was also acclaimed for his performance in the 2012 Asian Bodybuilding Championship, Vietna. All these bodybuilding stars have brought great honors for India in this rather young sport of bodybuilding.